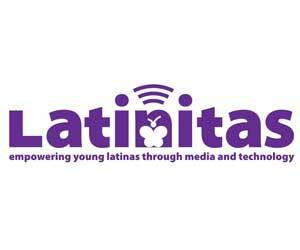 Latinitas is a non-profit organization that enables young Latinas to achieve personal and academic success through media and technology outreach thereby addressing the critical state of Latina girls today. While Latina girls ages 12 to 17 are the largest group of minority girls in the country, they are more likely than their non-Hispanic peers to face the four most serious threats to achieving success: depression, pregnancy, substance abuse and becoming a high school drop out. The solution lies in empowering these young Latinas, strengthening their confidence and expanding their opportunities. With a variety of enriching experiences, Latinitas discover their voice and develop media skills while building a solid foundation for their future. Latinitas offers after school programs, Saturday camps, weekend workshops, Winter camps, Spring Break camps, Summer camps, teen mentorship programs, volunteer and intern opportunities and much more.